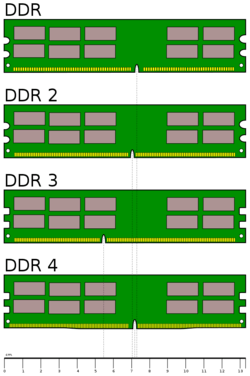 DDR3 stands for double-data-rate three and is a random access memory technology used for high speed storage of the working data of a computer or other digital electronic device. 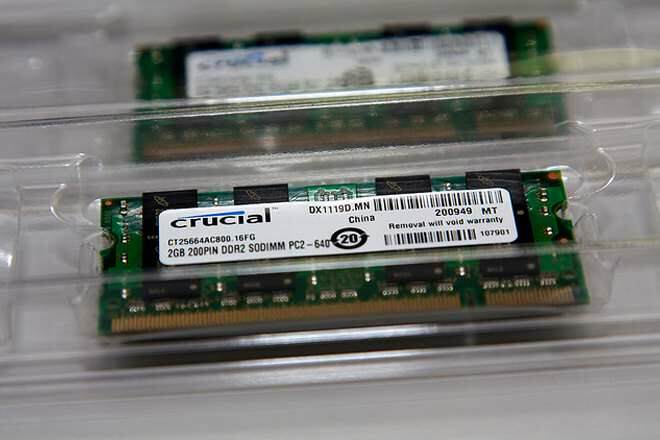 DDR3 is part of the SDRAM (synchronous dynamic random access memory) family of technologies and is one of the many DRAM (dynamic random access memory) implementations. DDR3 SDRAM is an improvement over its predecessor, DDR2. The primary benefit of DDR3 is the ability to transfer data for I/O at 8 times the speed of its memory cells, thereby enabling faster bus speeds and higher peak throughput than earlier DRAM memory technologies. However, there is no corresponding reduction in latency, which is therefore proportionately higher. In addition, the DDR3 standard allows for chip capacities of 512Mb to 8 Gb, effectively enabling a maximum memory module size of 16 GB. 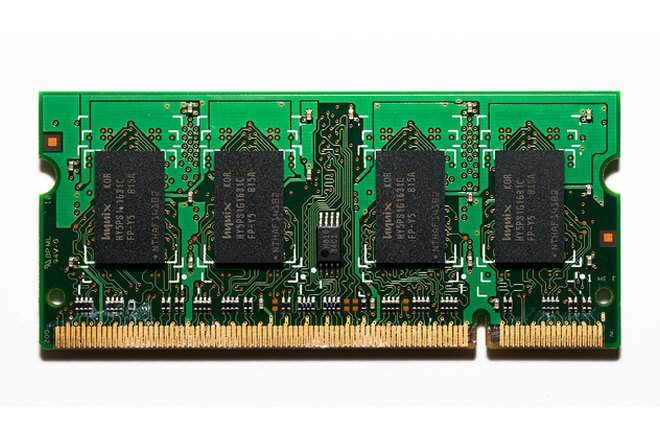 240-pin DIMM unbuffered registered; 200-pin SODIMM; 214-pin MicroDIMM 240-pin DIMM (same size as DDR2 but are electrically incompatible with DDR2 DIMMs and have a different key notch location). DDR3 SO-DIMMs have 204 pins. Higher bandwidth performance, effectively up to 1600 MHz: The main benefit of DDR3 comes from the higher bandwidth made possible by DDR3's 8 bit deep prefetch buffer, in contrast to DDR2's 4 bit prefetch buffer or DDR's 2 bit buffer. DDR3 modules can transfer data at the effective clock rate of 800–1600 MHz using both rising and falling edges of a 400–800 MHz I/O clock. In comparison, DDR2's current range of effective data transfer rate is 400–800 MHz using a 200–400 MHz I/O clock, and DDR's range is 200–400 MHz based on a 100–200 MHz I/O clock. Higher performance at low power (longer battery life in laptops): DDR3 memory promises a power consumption reduction of 30% compared to current commercial DDR2 modules due to DDR3's 1.5 V supply voltage, compared to DDR2's 1.8 V or DDR's 2.5 V.
DDR3 usually has higher CAS latency:While the typical latencies for a JEDEC DDR2 device were 5-5-5-15, the standard latencies for the newer JEDEC DDR3 devices are 7-7-7-20 for DDR3-1066 and 7-7-7-24 for DDR3-1333. DDR3 latencies are numerically higher because the clock cycles by which they are measured are shorter; the actual time interval is generally equal to or lower than DDR2 latencies. Moreover, while these are the standards, manufacturing processes tend to improve with time. Eventually, DDR3 modules will likely be able to run at lower latencies than the JEDEC specifications. It is possible to find DDR2 memory that is faster than the standard 5-5-5-15 speeds, but it will take time for DDR3 to fall below the JEDEC latencies. 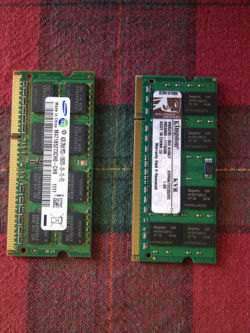 The following images show what DDR2 and DDR3 DIMMs look like. Schematic of the physical design of DDR2, DDR3 and DDR4 DIMMs. Graphics cards need fast data transfer between framebuffers. So the higher bandwidth capabilities of DDR3 are useful. Yeah...ddr3 is cheaper because it has become more common...not always better depending on system configuration but is better most all of the time.